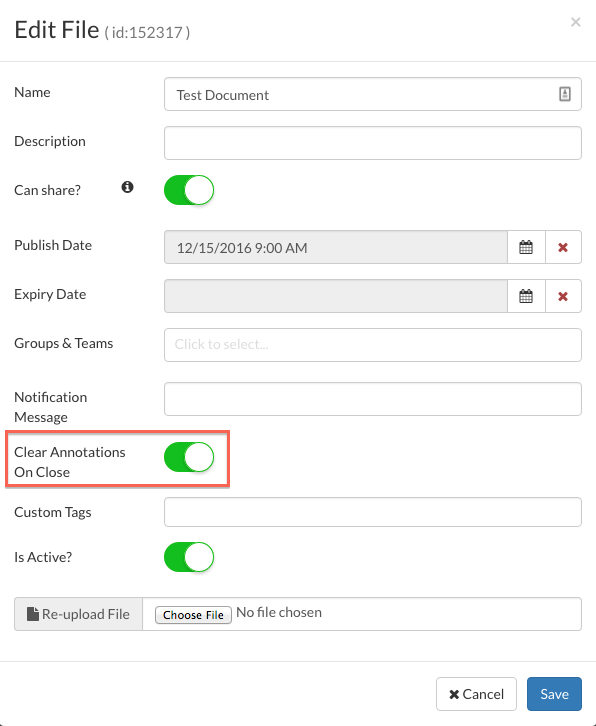 This article explains how to clear PDF annotations in Zunos Content Settings. This setting on content determines whether all PDF's that marked on in the app will keep or remove the mark ups when the file is closed. Click or select the underlined name of a pdf document to open the additional settings window. 2. Set annotations on PDFs to be cleared when the file on the device is closed. 3. Select Save to save the setting changes to this file. Note: This extra setting will only appear on PDF documents uploaded in the Zunos Admin Portal.